The Utah Geological Survey, using mineral lease funds, started a new program in 2004 titled Characterization of Utah’s Hydrocarbon Reservoirs and Potential New Reserves. 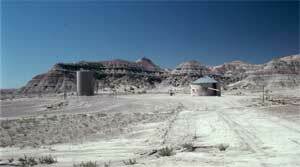 In 2010 the scope of these research projects was broadened to include all energy and mineral resources in Utah. Cook, P.S., 2016, Sedimentology and stratigraphy of the Middle Jurassic Preuss Sandstone in northern Utah and eastern Idaho: Provo, Brigham Young University, M.S. thesis 50 p.
Geologic Mapping and Analysis of the Beaver 1:100,000-Scale, Cave Canyon 1:24,000-Scale, and Adamsville 1:24,000-Scale Quadrangles, Utah: Peter D. Rowley, Consulting Geologist, Geologic Mapping, Inc.
Hydrocarbon Reservoir Potential of the Mississippian Chainman Shale, Western Utah, poster presented at AAPG-RMS, 2013. Sequence Stratigraphic Analysis of the Oil Shale-bearing Green River Formation, Eastern Uinta Basin; Lauren Birgenheier, Department of Geology and Geophysics, University of Utah. Geothermal Resource Potential of the Great Basin Province in Western Utah; David S. Chapman, Department of Geology and Geophysics, University of Utah. Petrophysical heterogeneities of the Permian White Rim Sandstone, southeastern Utah: Implications for reservoir properties and long-term storage of CO2, by Marko A. Gorenc, Marjorie A. Chan, and Brian J. McPherson, 2014, Utah Geological Association Guidebook 43, p. 199-214. Identification of an extensive paleotopographic high on the Navajo Sandstone by surface to subsurface correlating of the Temple Cap Formation and time-equvalent portions of the Page Sandstone, by Stephen P. Phillips and Thomas H. Morris, 2013, Utah Geological Association Guidebook 42, p. 261-278. Phillips, S.P., Morris, T.H., Tingey, D.G., Eggett, D.L., and Zhou, W., 2015, Discriminant analysis of elemental data to differentiate formations of like facies vertically across an unconformity and laterally across a paleotopographic divide: Journal of Sedimentary Research, v. 85 no. 11, p. 1293-1309. Igneous Rocks of Utah: A Database in Support of Mineral and Geothermal Exploration; Eric H. Christiansen, Consulting Geologist. Three dimensional geologic model of the eolian Jurassic Navajo Sandstone in central Utah for the evaluation of CO2 sequestration, by Jessica Allen, Si-Young Lee, and Sally Potter, 2013, Utah Geological Association Guidebook 42 p. 223-260. Reservoir Characterization of Subtidal to Supratidal Facies of the Middle Jurassic (Callovian) Entrada Sandstone, South-Central Utah; Thomas H. Morris, Department of Geological Sciences, Brigham Young University. Preliminary Regional Sequence Stratigraphic Framework and Characterization of Potential Fluvial Reservoirs of the Upper Mesaverde Group, Uinta Basin.Jennifer L. Aschoff, Colorado School of Mines, UGS Open-File Report 569. Sequence Stratigraphic Assessment of the Muley Canyon Sandstone & Masuk Formation, Henry Mountains Syncline: Implications for Understanding the Muley Canyon Coal Zone. Lauren P. Birgenheier, Christopher R. Fielding, Matthew J. Corbett, and Christopher Kesler, University of Utah, UGS Open-File Report 557. Outcrop chemostratigraphic correlation of the upper Green River Formation in the Uinta Basin, Utah – Mahogany oil shale zone to the Uinta Formation, by Dave Keighley, UGS Miscellaneous Publication 13-1. Reservoir Characterization of Clastic Cycle Sequences in the Paradox Formation of the Hermosa Group, Paradox Basin, Utah, Bruce Trudgill, Colorado School of Mines, UGS Open-File Report 543. Sedimentology and reservoir characterization of the Lower Triassic (Smithian) Sinbad Limestone Member of the Moenkopi Formation, San Rafael Swell, Utah, by Scott M. Ritter, Caleb R. Osborn, and Colton L. Goodrich, 2013, Utah Geological Association Guidebook 42, p. 199-222. Optimal In-situ Recovery Strategies for Utah’s Heavy and Extra-heavy Oil Sandstone Reservoirs, Steven Schamel, GeoX Consulting Inc., UGS Open-File Report 551. Multiproxy Environmental Characterization of Lake Level Cycles in the Green River Formation of Utah (zip file), Jessica Hope Whiteside, Brown University, UGS Open-File Report 544. Hydrocarbon Potential of Pennsylvanian Black Shale Reservoirs, Paradox Basin, Southeastern Utah, S. Robert Bereskin and John McLennan, Bereskin and Associates, Inc., UGS Open-File Report 534. Geologic Map and Coloration Facies of the Jurassic Navajo Sandstone, Snow Canyon State Park and Areas of the Red Cliffs Desert Preserve, Washington County, Utah, Gregory B. Nielsen and Marjorie A. Chan, University of Utah, UGS Open-File Report 561. Reservoir Characterization of the Cretaceous Cedar Mountain and Dakota Formations, Southern Uinta Basin (year 2) (pdf – 70MB), Brian Currie, Miami University of Ohio, and Mary McPherson, McPherson Geologic Consulting, UGS Open-File Report 516. Applicability of Carbon Dioxide Enhanced Oil Recovery to Reservoirs in the Uinta Basin, Utah, Milind Deo, University of Utah, UGS Open-File Report 538. Analysis of Reservoir Properties of Faulted and Fractured Aeolian Thrust-belt Reservoirs, James Evans, Utah State University, UGS Open-File Report 529. The Utah Geological Survey selected five projects for funding during fiscal year 2006 (Oct 1, 2005 – Sept 31, 2006). Integrated Sequence Stratigraphic and Geochemical Resource Characterization of the Lower Mancos Shale, Uinta Basin, Utah (pdf) by Donna S. Anderson and Nicholas B. Harris, Colorado School of Mines, UGS Open-File Report 483. Reservoir Characterization of the Cretaceous Cedar Mountain and Dakota Formations, Southern Uinta Basin: Year-One Report (pdf) , by Mary L. McPherson, McPherson Geologic Consulting; Brian S. Currie and Justin S. Pierson, Miami University of Ohio, UGS Open-File Report 492. Interpretation of the Jurassic Entrada Sandstone Play Using 3D Seismic Attribute Analysis, Uinta Basin, Utah (pdf), by R. William Keach II, Thomas H. Morris, John H. McBride, Brigham Young University; Mike Mullen, Halliburton Energy Sources; Hannes E. Leetaru, Illinois State Geological Survey; and Ryan O’Neal, Brigham Young University, UGS Open-File Report 493. Shale Gas Reservoirs of Utah: Assessment of Previously Undeveloped Gas Discoveries (pdf), by Steven Schamel, GeoX Consulting, UGS Open-File Report 499. Geologic Map and Coloration Facies of the Jurassic Navajo Sandstone, Snow Canyon State Park and Areas of the Red Cliffs Desert Preserve, Washington County, Utah (pdf), Gregory B. Nielsen and Marjorie A. Chan, University of Utah, UGS Open-File Report 561. The Utah Geological Survey selected four research proposals for funding in FY2005, focusing on research specifically dealing with Utah’s natural gas potential. 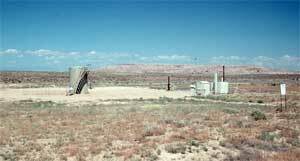 Paul B. Anderson, consulting geologist, Salt Lake City, Utah, Mesaverde Gas of Southeastern Uinta Basin. UGS Open-File Report 460. Mark W. Longman, consulting geologist, Lakewood, Colorado, and Randolph J. Koepsell, Schlumberger Oilfield Services, Greenwood Village, Colorado,Defining and Characterizing Mesaverde and Mancos Sandstone Reservoirs Based on Interpretation of Formation MicroImager (FMI) Logs, Eastern Uinta Basin, Utah. 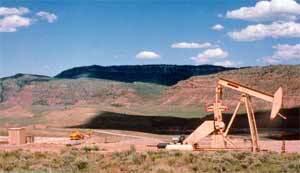 Kerr McGee, EOG Resources, Questar, and Schlumberger Corporations (Colorado) contributed to the project. UGS Open-File Report 458. Thomas H. Morris and John H. McBride, Brigham Young University Department of Geology, Provo, Utah, A Multidisciplinary Approach to Reservoir Characterization of the Entrada Erg-Margin Gas Play, Utah. UGS Open-File Report 459. Steven Schamel, GeoX Consulting Inc., Salt Lake City, Utah, Shale-Gas Reservoirs of Utah: Survey of an Unexploited Potential Energy Resource.UGS Open-File Report 461. For more information contact Tom Chidsey, 801-537-3364, email:tomchidsey@utah.gov.